Hello world, welcome to my first blog post. I wanted to start collecting my (many) thoughts from experiences with design, traveling, and maybe whatever else comes up. If you know me, you know I'm a huge fan of notebooks. Blank notebooks, notebooks with lines, notebooks with preprinted to-do categories. If I'm surrounded by ways to write, sketch, work through and come up with new thoughts, I feel at ease. Like anything is possible. However, scribbles on pages can be vulnerable. They can be lost, stolen, dunked in water, set on fire, set in jello, you name it. So here's the beginning of a digital notebook. The goal is to be organized, have tags, images, memories, be searchable-! I'm quite excited. You also may know my tendency to write accidental novels when explaining something. *face palm* So another goal of this blog is to try to improve my writing skills and be more intentional and clever with words. Wish me luck. 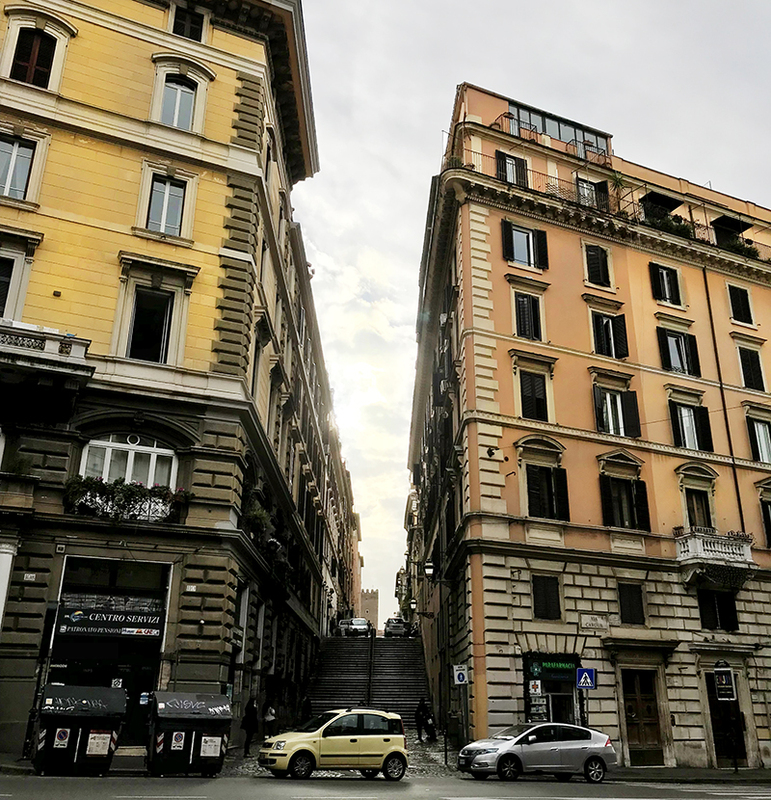 On that note, to kick off this new platform I want to share some lessons learned after living here in Rome for the first 4 months (collectively). It might be educational to some, helpful to others, and probably a bit amusing to revisit in a year. The pizza really is amazing, and make sure to ask for it "calda." IMO hot pizza is best pizza. You will find yourself no more than 3 blocks from a pizzeria or bar at any given moment. A "Bar" isn't what you might assume. Think coffee & pastries as a focus rather than desperation & noise. If at the main train station Termini, cling to your phone with padlocks to ensure you keep it. The touristy spots are pristine, but if you go past these areas in the city you may find billowing trash and what happens when most dog owners don't clean up after their furry friends on the sidewalk. (Watch where you step.) But there's enough beauty to balance it out. If you know the basics of Spanish and French, you'll be surprised with how much Italian you understand. Crushed tomatoes are best purchased in glass jars. Making Italian pasta sauce isn't complicated. Simply heat olive oil and add salt + (quality) crushed tomatoes. Stir once and simmer until the oil integrates with the tomato, maybe 10-15 min. A bottle of quality local wine can be under 2.5 USD. That doesn't mean you need to buy wine every chance you get. There is a popular clothing brand here with giant letters, "PYREX." It is not the Corning tupperware containers, though those containers are dope so I want one of these t-shirts for this reason. You might see something very ornate and old next to something very tacky and new. 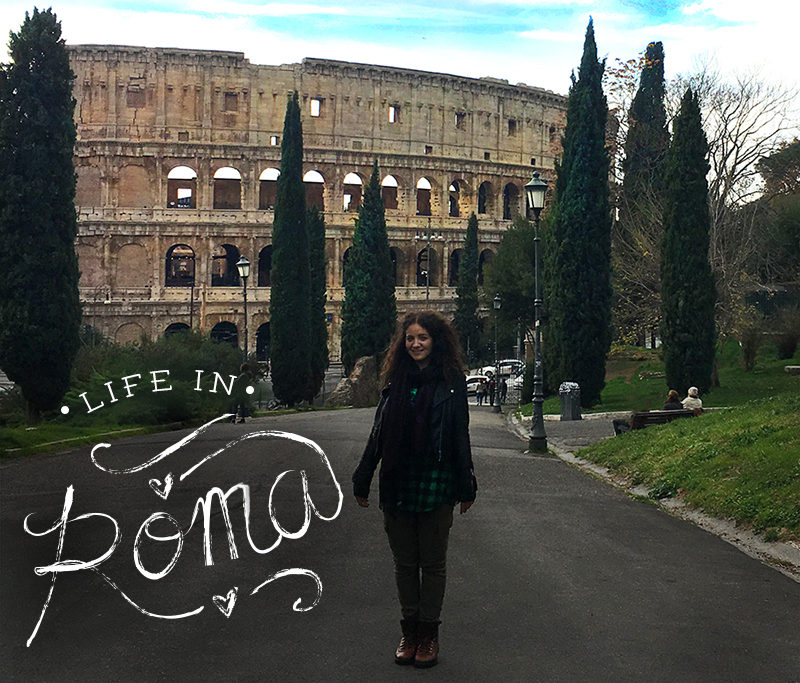 Rome is a never ending source of beauty, history, colors, botanics, cats, friendliness, pastries, fresh produce, cheap wine, and therefore inspiration! So appreciate every day; take time to step away from the computer to be aware of the environment and just exist in it. Maybe in a year from now this list will be different; maybe it will have significant edits. Time will tell. In the meantime I hope to spend the time ahead in awareness and appreciation of where I am. It's my first time living in a different country, a long-time life goal of mine. Wish me luck. If anyone has suggestions, questions, comments, etc. don't hesitate to reach out! Below are some more photos from life here. 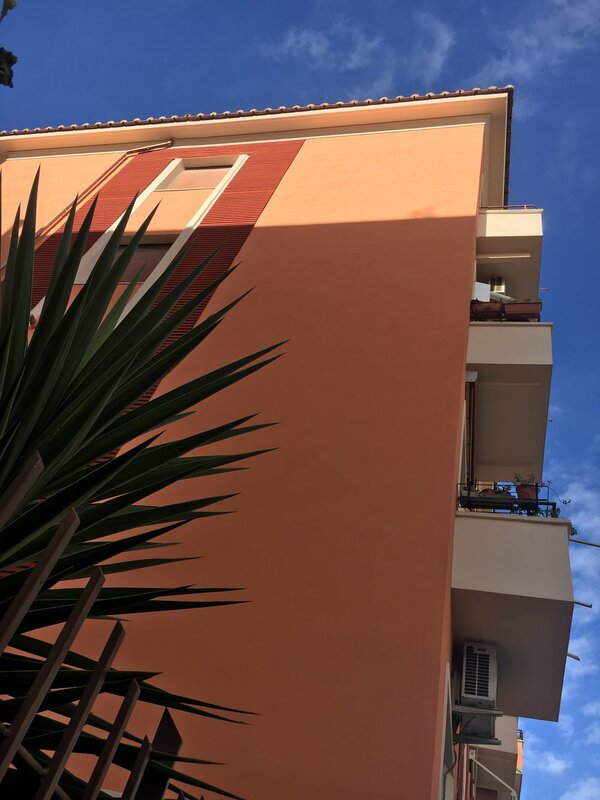 The view from our first bedroom in Re Di Roma. Since we've moved to a different neighborhood. Near the center of town. Taken from the "Little Train." Some buildings are old, some are new and freshly painted. Wisteria flowers are in bloom here for a week! So magical.